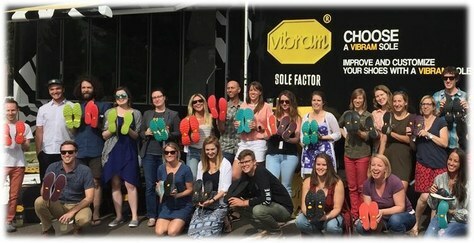 This September, Vibram is bringing the Sole Factor Tour to Seattle to re-sole your favorite shoes. All proceeds directly benefit The Mountaineers. Your feet take you places, and as a result you probably have more than a few pairs of well-loved shoes and sandals. We think it's time you give them the makeover they deserve! In honor of our weeklong K2 celebration, Vibram is bringing The Sole Factor Tour to Seattle to bring your old kicks back to life. Their team of specialized cobblers are resoling shoes for only $25 – all of which is donated directly to The Mountaineers in support of our outdoor education and conservation programs. Basically a traveling van of footwear pros, the Sole Factor team has already resoled 1,000 pairs of desperately-in-need-of-love soles this year. Hiking boots, mountaineering boots, dress shoes, sandals, and sneakers are all accepted. Learn more on how Vibram will add durability, traction, grip, and performance to your favorite shoes. They'll put a new pair of Vibram soles on just about anything. Note: If you drop shoes off at the end of the day Thursday through Saturday, they may be picked up the following day at the same location. Shoes are accepted until 2pm Sunday. This is a first-come, first-serve opportunity. Don’t forget to bring extra footwear! $25 donation – 100% of proceeds go directly to The Mountaineers. What Type of Shoes Can I Bring? What Type of Shoes Should I Not Bring?